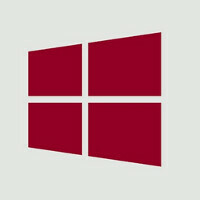 According to Jerry Berg, Senior Software Development Engineer at Microsoft, something amazing is coming to Windows Phone. The actual comment that Berg said was that "something is going to happen in the Windows Phone space which is going to upset the entire world across anything...wait for it, its going to be pretty amazing." That is about all he would say, which of course will leave many of you excited, but unfulfilled. Berg could be talking about the rumored sequel to the Nokia Lumia 1020, which for now has been given the codename "McLaren". Besides an amazing rear camera, worthy of taking over for the 41MP snapper on the Lumia 1020, this phone is rumored to feature a 3D touch system similar to Microsoft's Kinect video game system. It will allow you to control your phone without touching the screen. And it is expected to be an exclusive to Microsoft's Windows Phone handsets. This 3D Touch system would probably be considered "pretty amazing" and the new phone is believed to be coming to the marketplace in time for the 2014 holiday season. This means you should prepare yourself to be amazed by the fourth quarter of this year. Berg made his comment during a podcast, and a video of the comment can be seen by clicking on the video below. Hope so. Because so far there has been nothing that is 'amazing' coming from WP. WP UI changed the game. Thats pretty amazing. And exactly how did it do that? By making a UI nobody wants on their phone or PC. Right, that's why iOS7 and KitKat adopted the flat UI. Since nobody wanted it, they just forced it on everybody. Which part of "User INTERFACE" is the most difficult to understand? The flat UI allows for a cleaner look but both iOS and Android don't need it to be successful. It certainly hasn't helped Windows. We can say iOS and android implemented flat UI right! LiveItUp is burning because he thinks everybody is copying WP metro style but no one gives his beloved company credit. It might be flat because of styling trends but it isn't mindnumbingly stupid like metro is. Like, let's take flat so extreme we ditched lines to clearly segment options or we made everything look so similar and we cut off words at will. By making an OS that influenced everyone to jump off the Skeuomorphism UI bandwagon and onto the Flat UI one. If you want a cleaner look flat is the way to go. And the flat UI certainly hasn't helped Windows in any way. What do you mean it hadn't help Windows. The OS is growing. The UI design has been lauded. Of course it helps Windows. People are actually seeing that MS is a trendsetter , how is that a bad thing? Why do you bother? He/she has already told you it's a cleaner look, iOS and Android have adopted it - but they didn't need it, wink wink. After all that, he/she still claims it hasn't helped Windows. Reminds me of when Audi introduced the 5000 sedan back in '85 and everybody called it an ugly jellybean. The following year Ford debuted the Taurus and before you knew it, everybody was driving jellybeans. Nice car to choose an analogy on, the one with fly by wire throttle that drove through the back side of hundreds of peoples garages an is still banned in public garages to this day. Pos killer design, that killed. I guess you can classify the number of people using Windows phone as growth but the public has clearly rejected the platform and its interface. And as I said in my previous comments if both Android and iOS ignored the flat look it would have no effect on the market. I'll have whatever it is you're smoking. Well, I just don't like metro design. Its a sore eye. Even all my colleagues around 60 plus think that metro design is unpleasant. None is carrying a lumia. If fact we are given 4 625 free and no body wants it. They rather buy an iPhone or whatever phone with a grant. Beauty is subjective. I happen to dislike the tile look on my PC and my phone. There's been certainly more amazing things coming out of Microsoft/WP than from Google/Android since 2011 (not counting in Android L since it is yet to be mass released). Seriously, what "Amazing" has come from any platform?